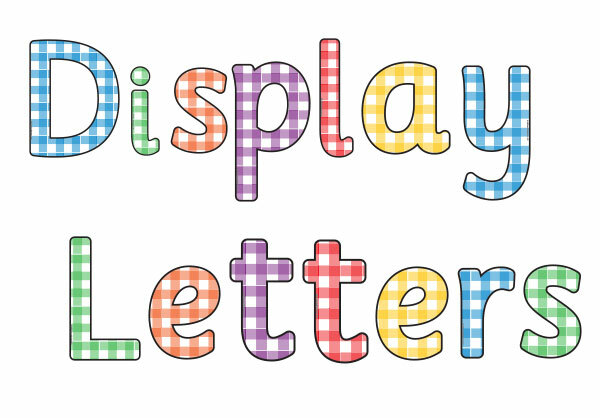 A gingham set of letters, numbers and punctuation symbols to cut-out and create a range of displays in the classroom. Ideal to use when creating classroom displays. Cut out the letters, numbers and punctuation symbols to create a range of headings, signs and label. Choose from the list of fonts and colors below. Print, cut and laminate a set of gingham alphabet and number display cut-outs. Use the letters, numbers and punctuation symbols to create words for headings, signs and labels in the classroom. Enlarge or reduce the size of the letters to suit the size of your display. Thank you for your positive comment. We hope you enjoy using these letter sets in the classroom.